Keeping St Mary’s look as lovely and welcoming as it does is a big task. Many people in the village help out in practical ways, by helping with the flowers or by being on the cleaning rota. There is a group of people who regularly mow part of the enormous churchyard and keep it neat and tidy. Others like to support us through the activities organised by Shotley Heritage 700. If you would like to lend a helping hand every now and then, the wardens Maureen (787304) and Derek (788932) would like to hear from you. The Historic Churches Trust sponsored Bike Ride raises money for our ancient churches. Members of the congregation spend the day in church signing the papers of those cycling from church to church. Thank you to all those who sponsored our cyclists on 12th September. The people of St Mary’s want to make sure they can be there for you whenever you need them. They do not receive any regular funding from outside agencies: everything we do is funded through the generous giving of our church family members and people in our local community. * By setting up a Standing Order with your bank. If you would like details on how to do this and on church bank account numbers, or a Standing Order form then please contact our treasurer through our contact page. 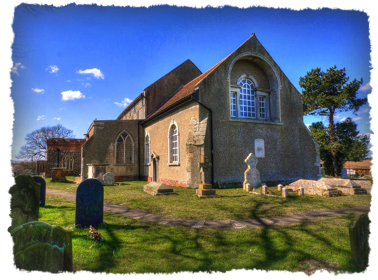 * By making a donation: Please make cheques payable to St Mary’s Church, Shotley and send the cheque to “The Rectory, Rectory Field, Chelmondiston IP9 1HY”. You will soon be able to make online donations as well. If you are a UK taxpayer (Income or Capital Gains Tax) and would like the church to be able to claim back the basic rate tax through the government’s Gift Aid scheme, you will need to fill in, sign and return to us an ongoing Gift Aid declaration if you have not done so already. St Mary’s can recover the basic rate of income tax, currently 25p for each pound given, at no extra cost to you. Download your Gift Aid form here.